Taking Part in Pomeranian Rescue Events " "
There are many ways you can support a Pomeranian rescue in your area. One of the best ways is to find out if there are any events planed by the rescue, and attend these events to offer your support as a friend, responsible dog owner, and even to make a donation. There are many different types of events that a Pomeranian rescue may host. For instance, sometimes the purpose of an event is to introduce some of the dogs in the rescue to people interested in adopting. These are known as adoption days, and are usually scheduled many times throughout the year. Other times, the intention of the event is to raise awareness of abandoned dogs and promote responsible breeding and being a responsible owner. This type of event teaches owners and potential owners the importance of having a dog spayed or neutered if they will not be used for legitimate breeding purposes. Too many pups are left abandoned and alone due to backyard breeding, or simply from careless owners who allow un-sterile dogs to mate. Another type of rescue event may include a dinner party or other type of fundraiser to raise money to help a Pomeranian rescue pay for the expenses of caring for dogs. Regardless of the type of rescue event, the goal of all events is to help benefit the lives of abandoned dogs, and to prevent more dogs suffering the same fate. As was previously mentioned, you can show your support by learning of these events and taking part in them. However, you can also volunteer to help out at these events, or even volunteer to arrange an event for a rescue. In addition, you can really do your part and help out a Pomeranian rescue by spreading the word to your friends and neighbors about the upcoming events of the rescue, and ask them for their support. 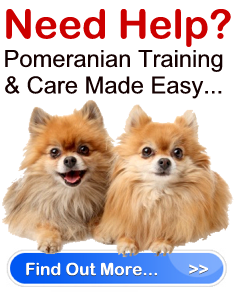 If you love Poms, get involved in a Pomeranian rescue, and take the time to make a difference.